From an early age I found myself being attracted to music, whether it be listening to my vinyl or cd collection, playing my home made tea chest bass with the local street musicians or jamming with my dad on my drum kit. It was no surprise that when it came to choosing a career, music seemed to be the obvious choice. I became interested in the drums from an early age and began studying with various well known drumming teachers in Johannesburg. I began playing in bands notably a cabaret band at the then Black Sun in Berea Johannesburg. Many of the artists who were doing shows there went on to make a name for themselves locally and abroad. My interests in music didn’t stop at the drums. I was also passionate about composing. The industry at that time was being turned on it’s head as new technolgies were being developed. The age of digital technology was just beginning and this had a dramatic effect on technology in the music industry. I was fortunate to be a part of that music evolution. I bought digital synthesisers, sequencers and my first music commuter the Atari. The birth of music software running on a computer was a complete revelation. Suddenly things became very visual and tasks which where complex suddenly became a mouse click away. I immersed myself in this new technology and before long I was creating music that would have been impossible for one person to previously create. My knowledge and proficiency enabled me to get a job at the then RPM studios as a midi programmer. My job was quite specialised since there were only a handful of people in the city that were able to operate this new technoloy. RPM studios owed by Gallo at the time changed it’s name to Downtown studios. 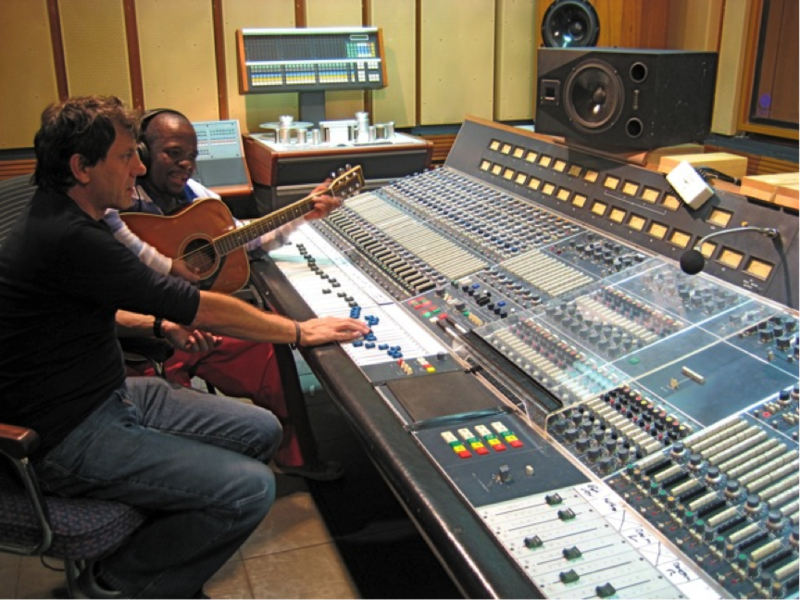 It became the main recording facility in the country with the who’s who of local and international artists recording there. Hundreds of hit records were produced in the these studios. 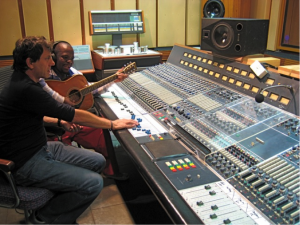 As I progressed through the ranks I became one of the resident in house sound engineers at the studios. I had the good fortune of working with many of the legends of South African.Some of the artists that I have worked with over the years are, Johnny Clegg, Lucky Dube, The Mohatella Queens, Simphiwe Dana and Thandiswa Mazwai, to name but a few. Over the years as I have explored the various avenues of earning a living as a musician, song writer, sound engineer, producer and teacher, I am still excited to be involved in this amazing process. Each of the skills I have developed has it’s own thrill and pleasures, be it witnessing the excitement on a childs face as he or she discovers the joys of playing a musical instrument. Capturing an inspired take on state of the art equipment in the recording studio. Laying down a solid groove for the band as a drummer, composing & producing a song for an artist or a soundtrack for a movie. I look forward to sharing my passion and expertise with you !